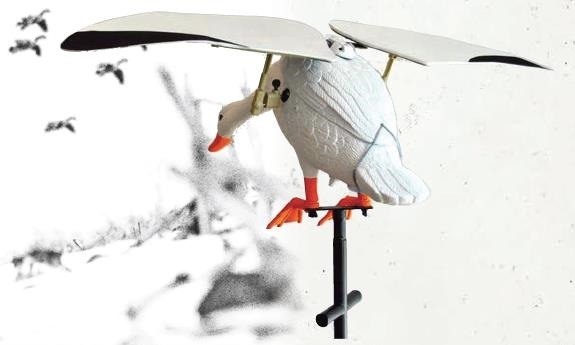 The Flapping Wing Decoy is defined as any electric, mechanical, manual, or wind driven device that simulates the up and down, “flapping”, wing movement. 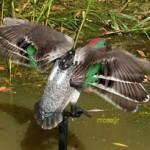 Flapping wing decoys closely mimic a ducks actions when landing or flapping their wings while sitting on the water. These are very effective when using large spreads such as the ones used for pit or permanent blind hunting. 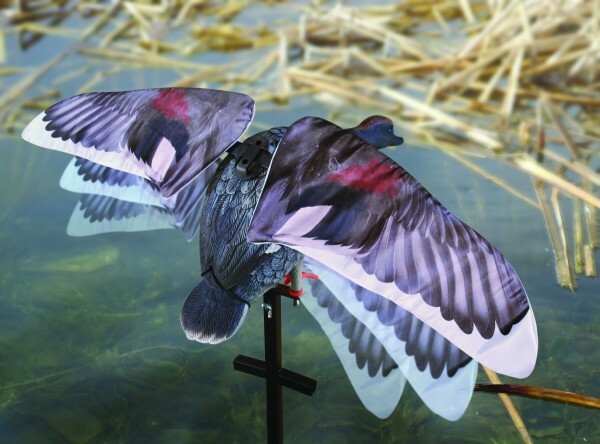 I have used flapping wing decoys for several years. I generally use them in combination with several types of spinning wings, floating, full body, and motion decoys. They add another type of realistic motion, (flapping wings like a duck just prior to landing) and enhance my spreads look. I like to position them close to an open pocket at an angle that makes them look as though they are landing. 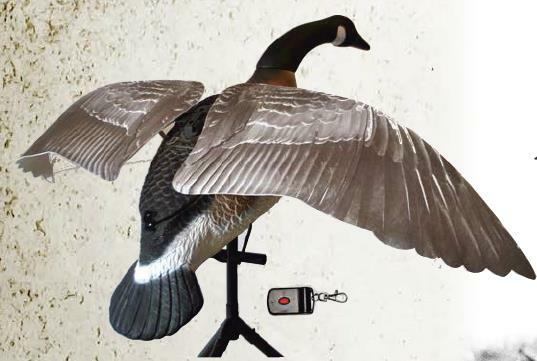 Using flapping wing decoys in any state that allows them can help you reach your daily bag limit. You should check the regulations in the state you intend to use flapping wings decoys.